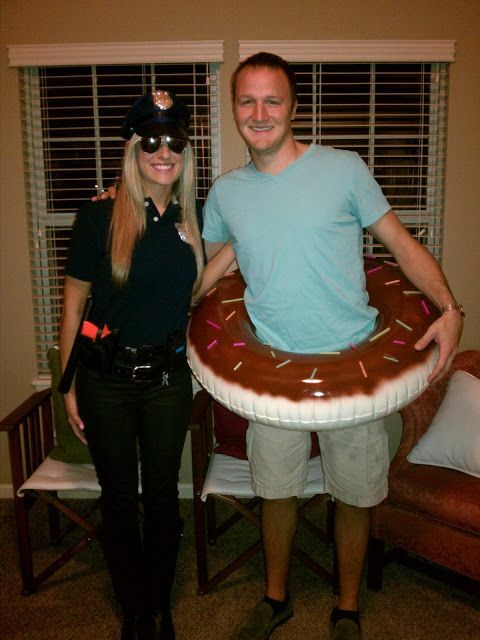 I am obsessed with couples costumes. I just think anything matching is the best thing ever, so when a couple comes together and AGREES (that might be the hardest part ha) I just love the outcome.. Here are some favorites I found while searching this year. 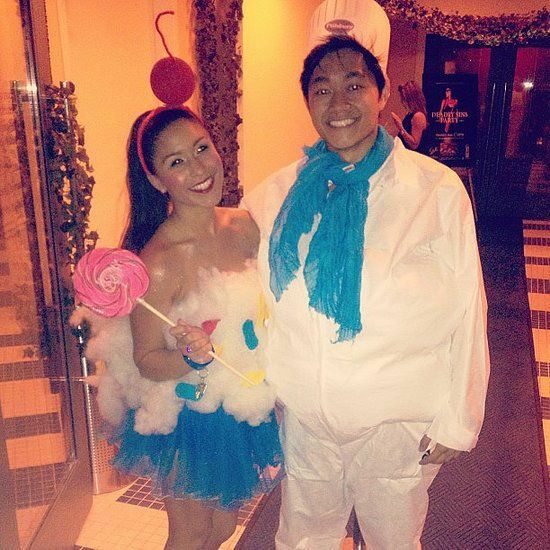 Check out individual costumes and group costumes too! 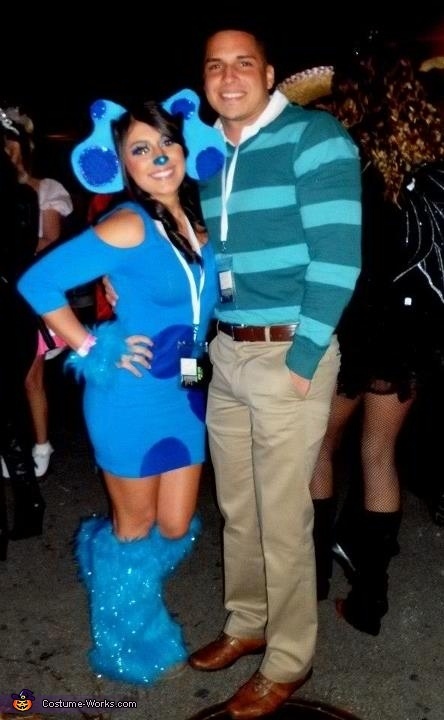 This is Steve and Clue from Blue’s Clues. Who else watched this when they were like 5. 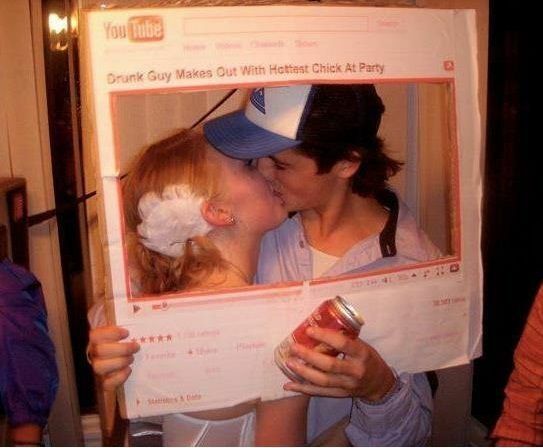 Very original idea, super creative, and not too hard to make. 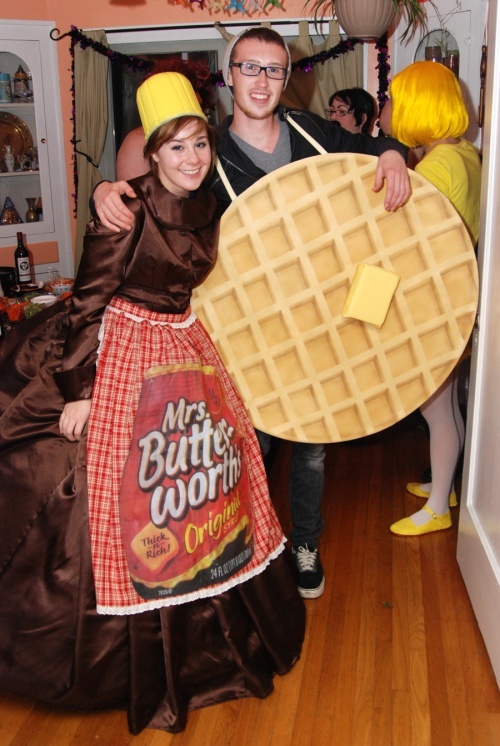 Syrup and waffles. This could easily be tweaked for warmer climates–grab a shorter brown dress, make a smaller apron, and done. 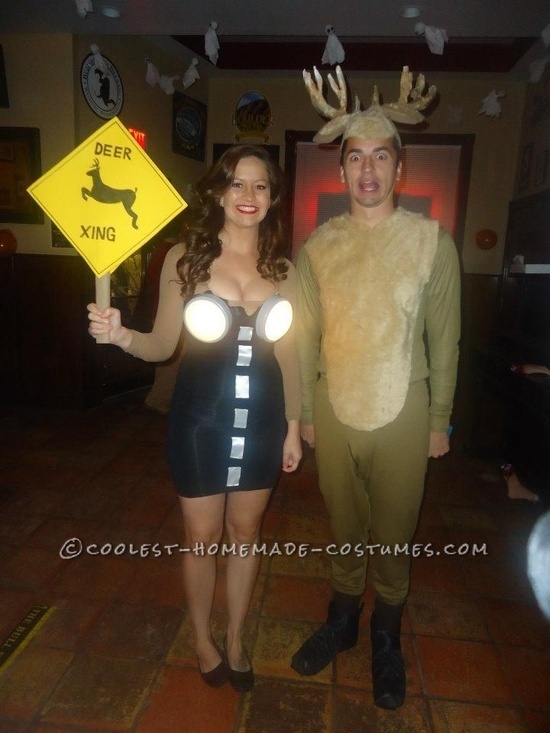 Deer in headlights. Everything about this is awesome. His expression, the sign, the fact that her “lights” actually light up. Perfect and makes me laugh. Cookie Monster and Cookies. 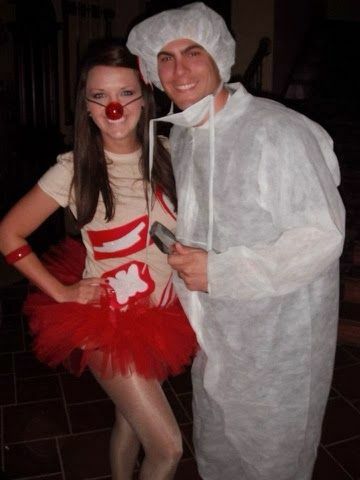 His costume was probably really easy to find/buy and hers is so cute I just can’t take it. Flo and Mayhem. 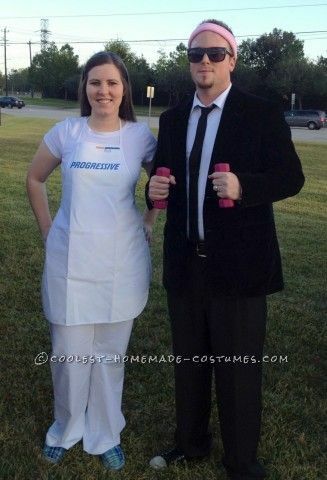 I love these insurance commercials and I think this is another very creative couples costume. And I know there are SOO many more costumes, I just thought these were especially cute and I had never seen most of them before. NEW costumes are always refreshing, and fun to see.